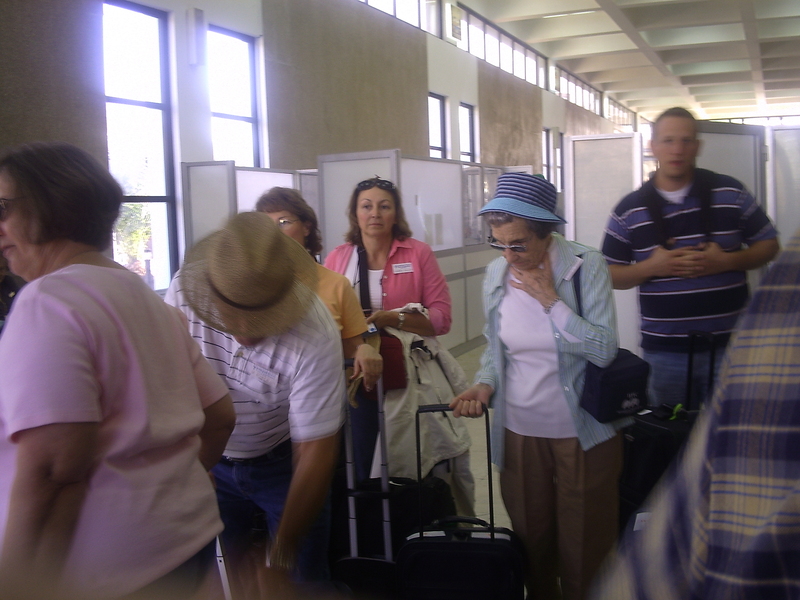 First of all, the border agents weren’t very patient with the little, old ladies who were chatting in the line waiting to show them their passports. If they weren’t paying attention when the agent was ready for them, he’d invariably slam his fist on the counter and snap at the women to get their attention and grouchily command them to approach the counter. I must say I found myself less than edified by this repeated experience. Second of all, once we got on our bus and entered the city, and noticed what a war zone the working class section of town looked like, and learned the reason for the dilapidated appearance of most of their otherwise functional buildings, I went from annoyed to appalled! Our Egyptian tour guide informed us that in the less affluent side of town, the city government doesn’t charge taxes on buildings that are being built until the building is completed. 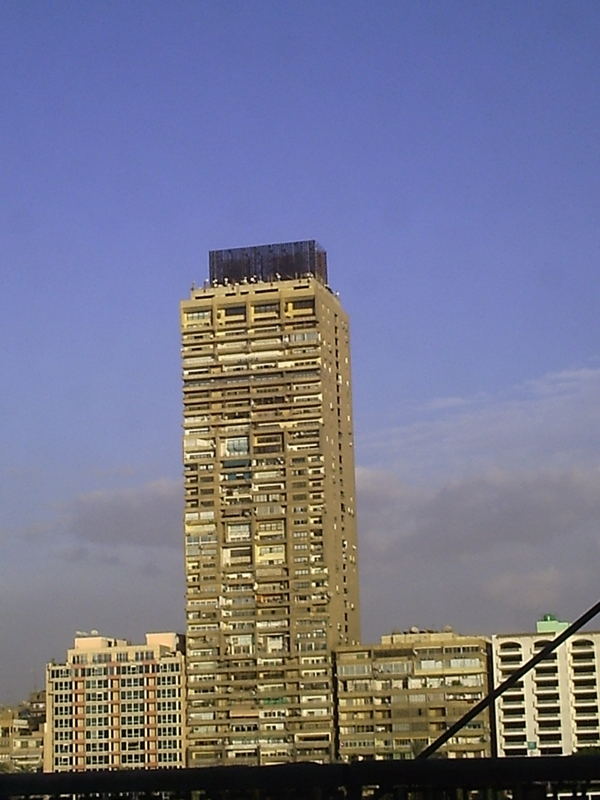 Naturally, since it is an economic law that taxing a behavior discourages that behavior, many of the builders lost all motivation to complete their buildings to avoid paying their taxes–much to the detriment of the Cairo skyline! Then there was all the traffic! 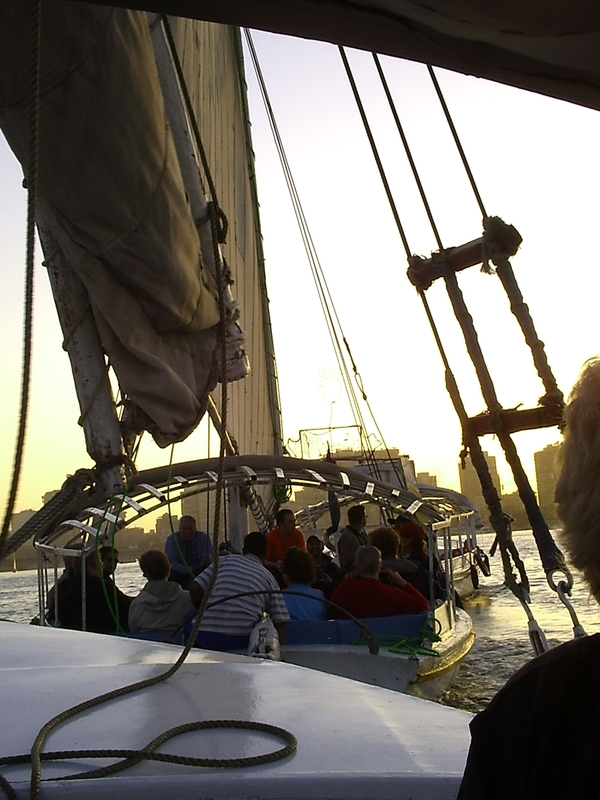 Did I mention there are twenty million people living in Cairo, Egypt? Did you know that there are only seven more than that living in the entire state of Texas? 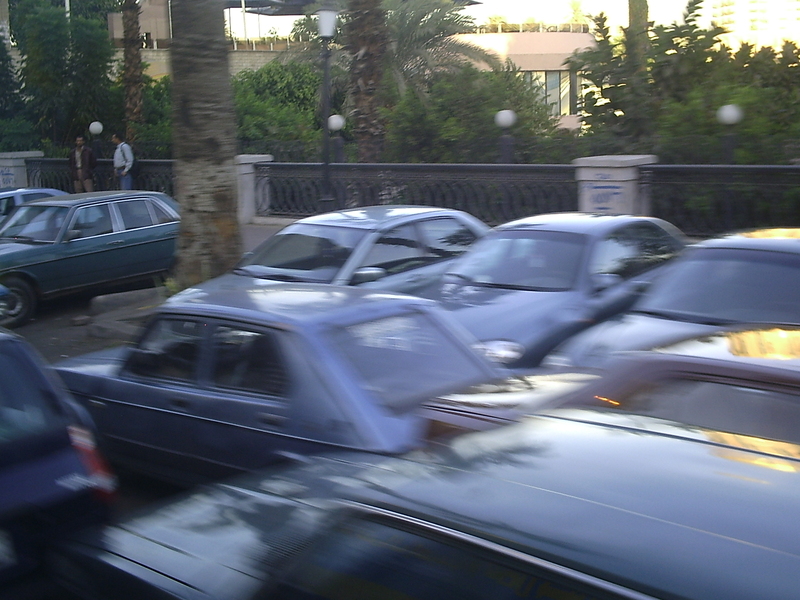 Twenty million Cairo citizens–and they’re all stuck in traffic everywhere you go. Which means they’re all laying on their horns and trying like the dickens to get around anything and everything in their way. To add excitement to the mayhem, because the traffic is so congested, no one can really go that fast anyway, so pedestrians feel free to jaywalk anywhere they please, weaving in and out between the sardine-packed parking lots full of cars they call streets. Plus, realizing there’s safety in numbers some of them would join arm in arm in groups of about five or so, and step out into traffic to do their jaywalking. Then there were the children chasing our bus down the street like a pack of dogs! But to pump a little sunshine into this post, at least many of them were very happy to see busfuls of Americans and their wallets coming into town. 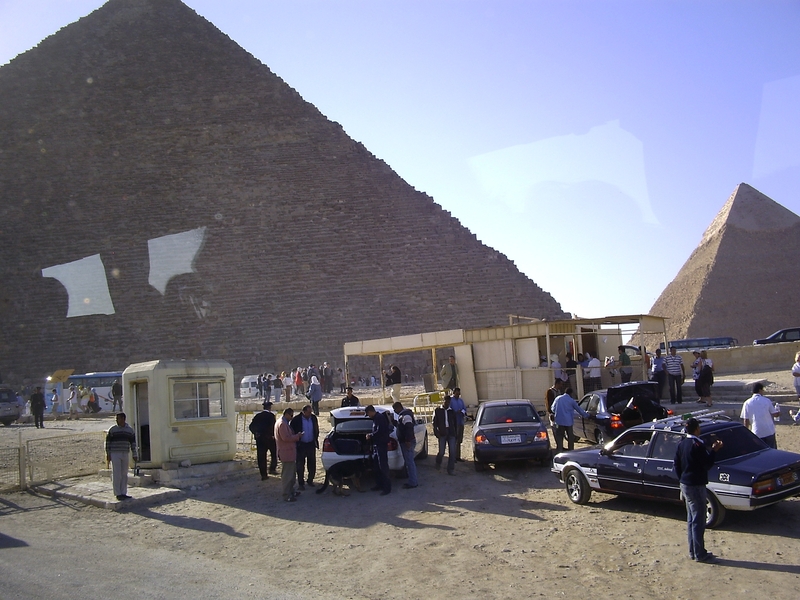 We did quite often see happy Egyptians waving enthusiastically at us everywhere we went. Another group of Egyptians who were glad to see us were the extremely aggressive souvenir salesmen whom you simply couldn’t make eye contact with, let alone discuss the price of their wares, unless you’re ready to lay down some cash! If they can’t get your attention, some of them will assure you they aren’t looking for money when they offer to take your picture with your camera, only to then stick their hand out and start asking for money once they’ve provided their neighborly service. God is so gracious with me. Would that I could have founnd such compassion for my neighbors, the Egyptians! The posts are great! Keep it up. 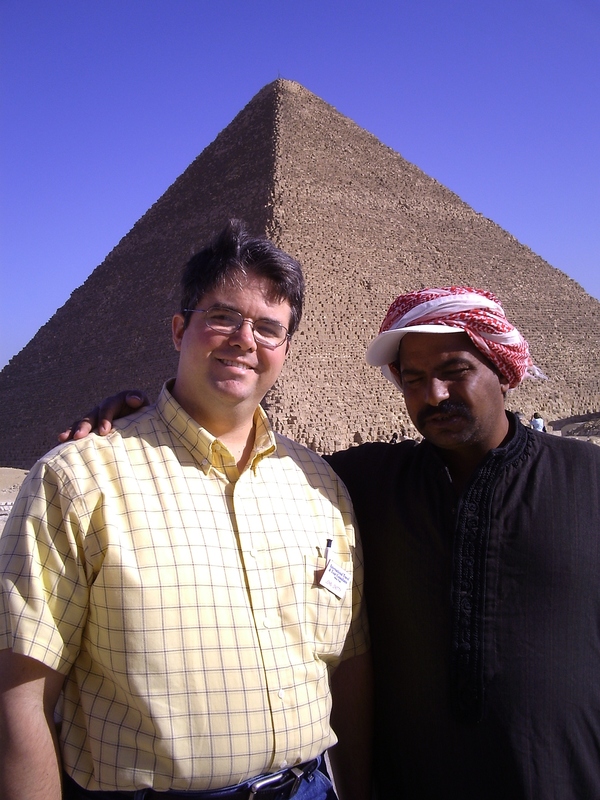 I just hope you didn’t try to beat some poor Egyptian out of his just reward, say, for example, if he offered to take your friends pictures on his camel, and you walked away without tipping him. But then, you would never do anything like that, right? ah, misadventures? hmmmm, what, did you think God was all serious? Kinda like two peas in a Nile reel slip now isn’t it? Are you holding out? More pictures, more, more, more! What’s a Nile reel slip? I’m glad to see you’re taking my misadventures as they are intended. I will do the same for you when I go to Asia soon!